A calm, soothing color scheme for silent nights and other moments of magic. It reminds me a little of Monkey Island, or Sandman. Or something. 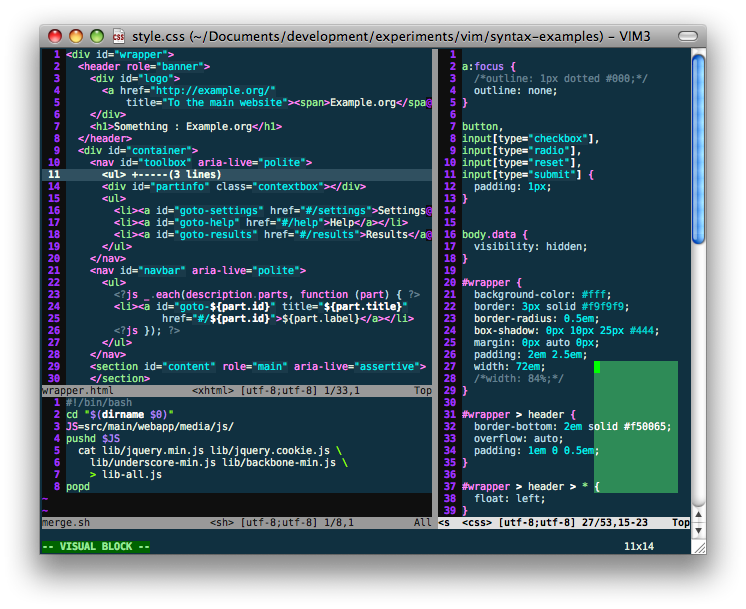 nightshimmer.vim 1.1 2011-01-23 7.0 Niklas Lindström Long overdue: generic improvements and highlights of new groups (for folds etc. ).